When You Rush To Wed Him Or Her! 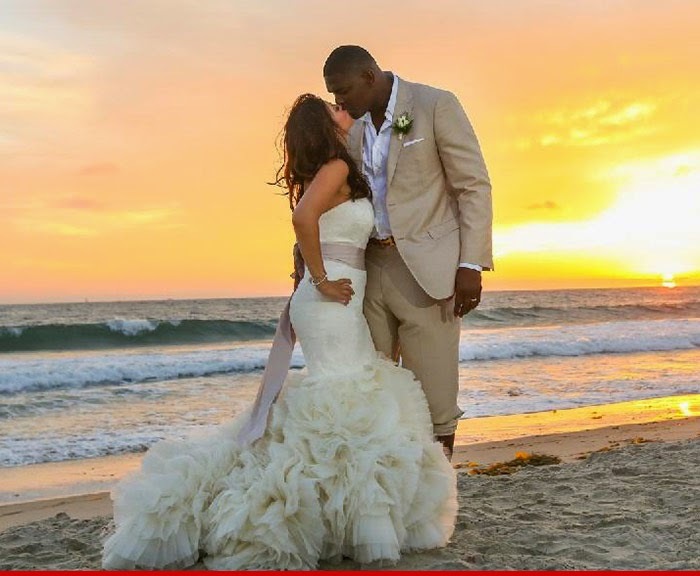 Keyshawn Johnson Wife Files for Divorce 7 Months After A Lavish Beach Wedding! When it all doesn't worth it. Why spend all those monies and time on a lavish wedding only to call it a quit in a few months. At least I myself managed mine for a couple of years and had two lovely kids while there-in. Keyshawn Johnson's wife has filed for divorce ... just 7 months after tying the knot with the ex-NFL star in a lavish beach wedding ... TMZ Sports has learned. According to court docs filed in L.A. County Superior Court on March 3rd ... Jennifer Conrad is asking the judge to nuke their marriage, citing irreconcilable differences.